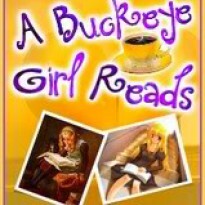 Jill Mansell's books are laugh out loud funny and chick lit at it's finest. 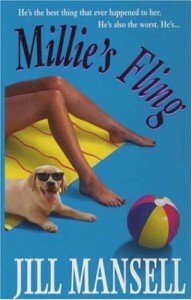 Millie's Fling was a delight to read. I read this book while I was sick and by the end of it I wasn't feeling quite as bad as when I started it. It is a wonderful feel good book that left me wanting more. Millie Brady is in the middle of a fight with her boyfriend when she spots someone who looks like they are in trouble. Her boyfriend is about to ask her to move in with him, and seizing the opportunity to avoid the discussion she decides to help the person in trouble. He however, thinks they should just ignore the person in trouble. Millie breaks up with him, and finds herself saving the life of best selling romance author Orla Hart. Orla Hart feels awful about how Millie's boyfriend just left her on the side of the road and that she inadvertently got Millie fired from her job at the travel agency where she worked, so she offers to pay Millie to give her story ideas for her next book from stuff that happens in her life. However, Millie's life isn't as exciting as Orla would like, so she tries to fix Millie up with guys she thinks would be perfect for her. The problem is that Millie has met someone she really likes-Hugh Emerson, a widow whose wife passed 8 months ago, but she just doesn't want Orla to know about it. So Millie goes on these horrible dates that had me laughing out loud to make Orla happy. Along the way, Millie gets roped into getting a job delivering kiss-o-grams to people, which results in equally hilarious events. Each chapter rotates between the voices of Millie, Millie's flatmate Hester, Orla Hart, Hugh Emerson-the guy who Millie likes and a few other characters in the book. The change in voices took a while to get used to, but made the story richer and fuller.